Product Update: What’s New in Mailbutler 2.2? Gmail Material Design, Analytics Dashboard … and everything new in our latest 2.2 update! Shortly after last week’s Mojave-ready update, our team is ready to bring you the next big update to Mailbutler, which comes with a lot of important and major updates. Take a look at what’s new and what’s changed! 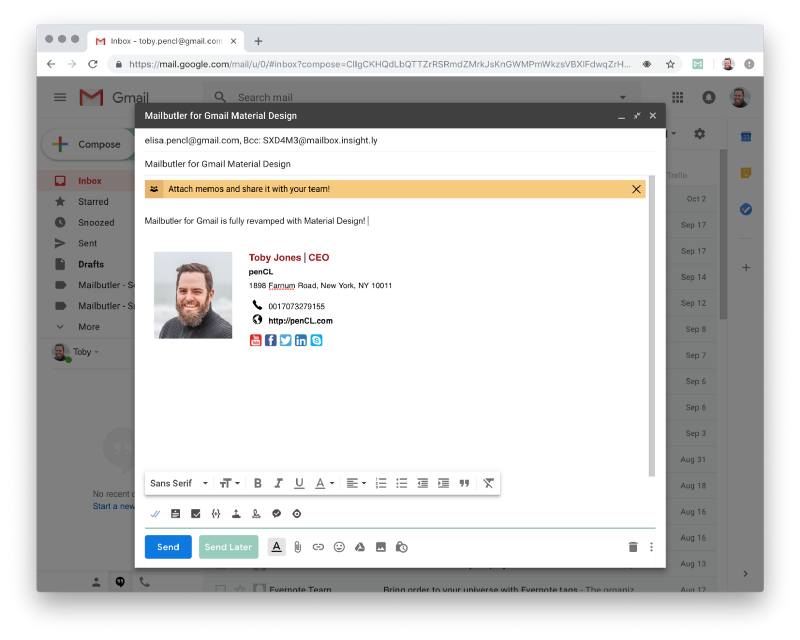 Our dev team has given a lot of love to Gmail in the past few months, and we’re happy to share that Mailbutler for Gmail is now fully compatible with Google’s new Material Design, which will be officially released on October 15. Mailbutler for Gmail is fully integrated to your inbox interface — all of your data will also be synced across your devices and platforms. 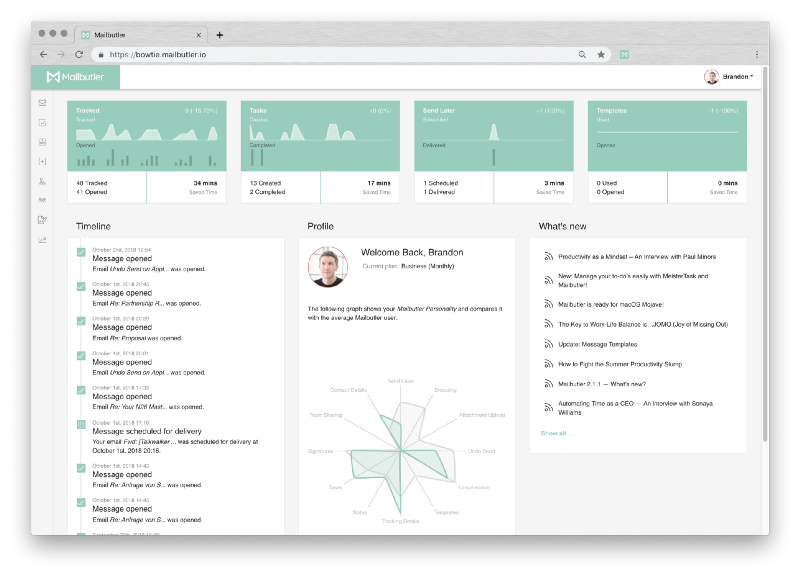 Dashboard homepage now comes with brand new beautiful widgets that brings you personalized insights to your Mailbutler usage. 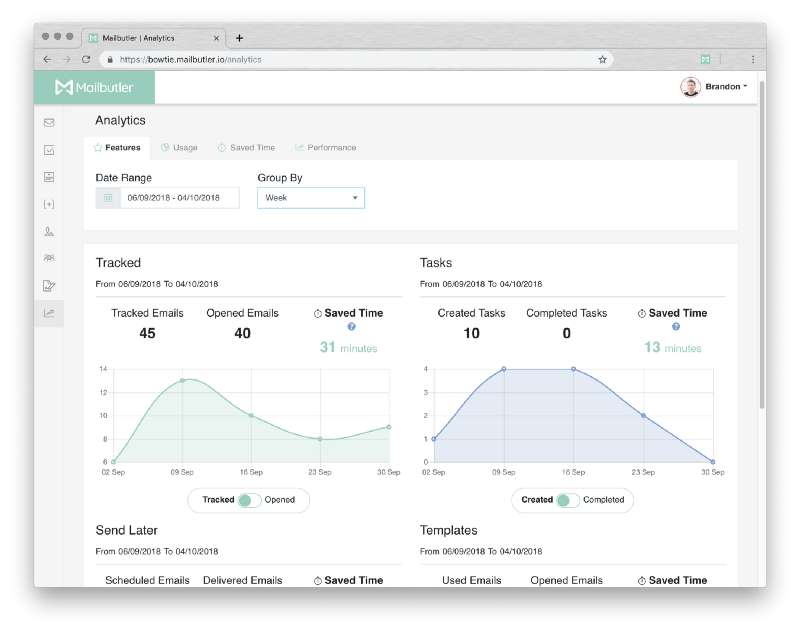 You can quickly access stats and performances of your tracked emails, used message templates, completed tasks and scheduled emails. ‘Mailbutler Personality’ view shows you how you’re using Mailbutler compared to the average user. Catch up easily with product and blog updates through ‘What’s new’ section in your Dashboard. 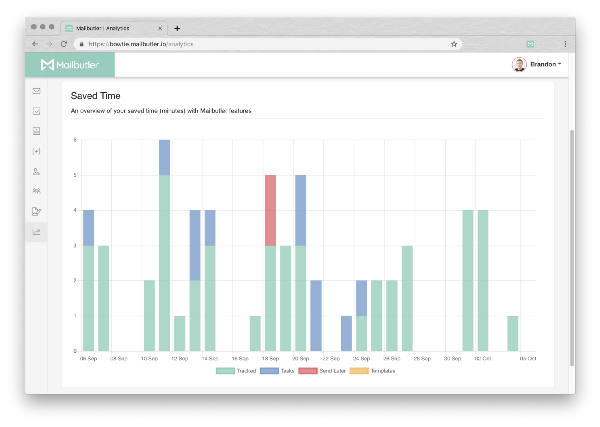 To provide you with more insights into your email productivity, we’re happy to introduce Dashboard Analytics, which gives you detailed stat insights to your feature usage, saved time and email performance. The new Mailbutler for Apple Mail comes with new Snooze and Send Later functionalities which run when you are offline. However this means certain email servers are not supported. Mailbutler 2.2 ‘s compatibility mode will allow Snooze and Send Later to work normally again for most unsupported email servers. Our team will continue to work on adding more supported email servers for both functionalities. 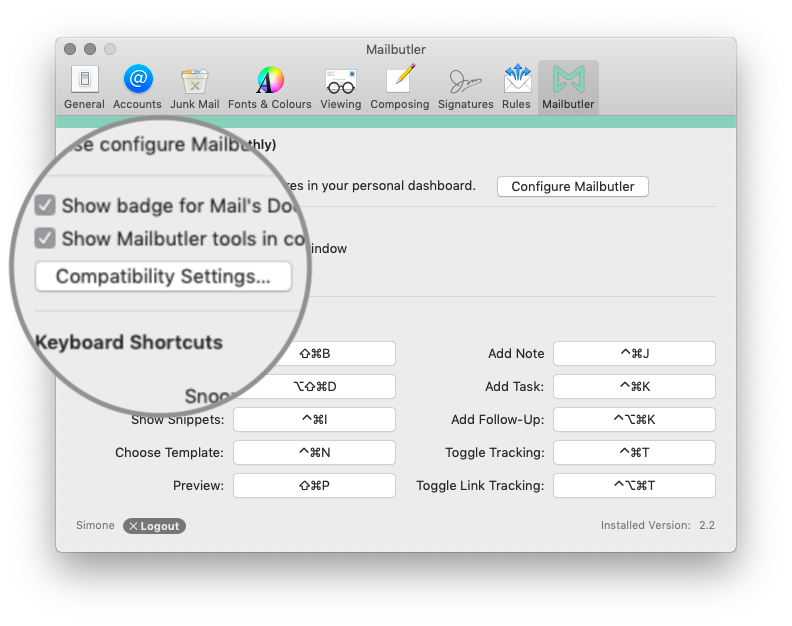 To enable compatibility mode, simply go to your Apple Mail Preferences -> Mailbutler -> Activate Compatibility Mode for unsupported email servers. *Snooze and Send Later for email accounts on compatibility mode will only run when your computer stays awake. Apple Mail: Improved UI responsiveness — this includes sync between plugin and menu bar app. Apple Mail: Mailbutler now supports Outlook.com, Yahoo! and AOL email accounts. Gmail: Smoother and better visual feedback on UI. Dashboard: Signature Templates editor now runs smoother and better. Release Notes of Mailbutler 2.2 could be found here.